In Depoe Bay you can watch the waves splash and a spouting horn. 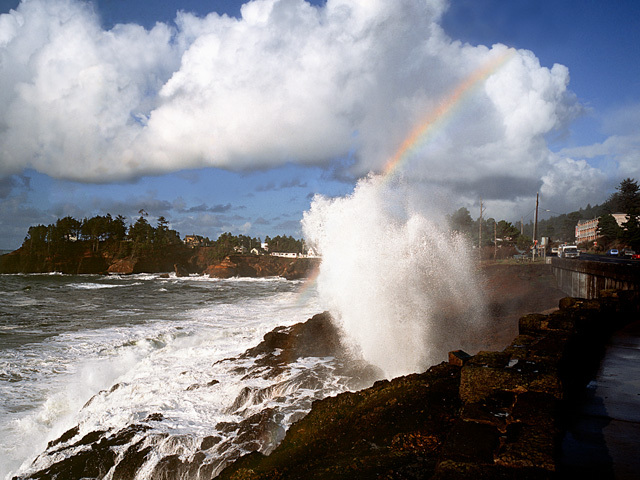 And a little rainbow is in this Oregon Coast picture that makes you feel you might get wet. To use PayPal, call us 503-625-7937 or e-mail or Paul.